This is a very transformational time we are in, foretold by many spiritual sources and prophesies to be both wide ranging and possibly traumatic, but nonetheless necessary in the development of humanity. This process leaves many people bewildered. 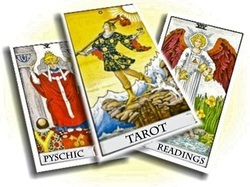 Mystic's Mountain is your resource for quality psychic readings and other services to assist you on your path. If you would like to find out what life has in store for you, whether you need answers to everyday issues or deeply held questions, I will give you the correct reading with a Tarot or Palm reading. 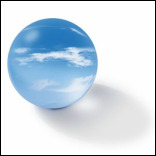 ​A variety of other professional services are offered, including spiritual cleansings to clear away negative energies. Graphics on my pages are from Free Graphics websites such as Robin Wood's Pagan Graphic Freeware. Poison's Icons, Sanfords.net and Absolute Web Graphics are sites that are now defunct or are no longer monitored so I have removed their links. If you see a graphic here that's missing its weblink, please email me and it will be placed here. This site, Mystic's Mountain Copywrite © 2002-2024 by Madonna M. Barnard. All Rights Reserved. No portion of Mystic's Mountain, in part or whole may be used without the author's permission. Links to other sites and graphics from sites listed above excluded.